While getting over a broken heart certainly isn’t easy, there comes a point where we have to accept our break-up and move on. 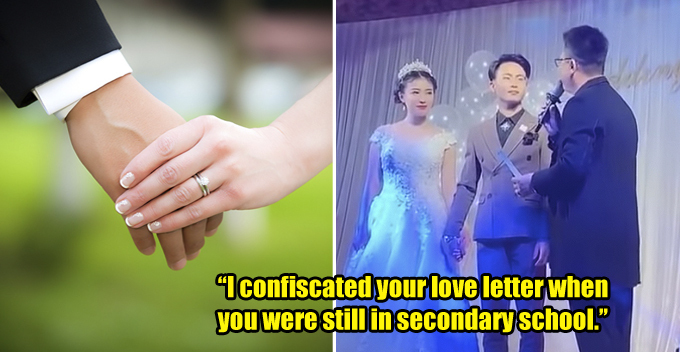 Sadly, this woman in China learnt this the hard way when she decided to crash her ex’s wedding. 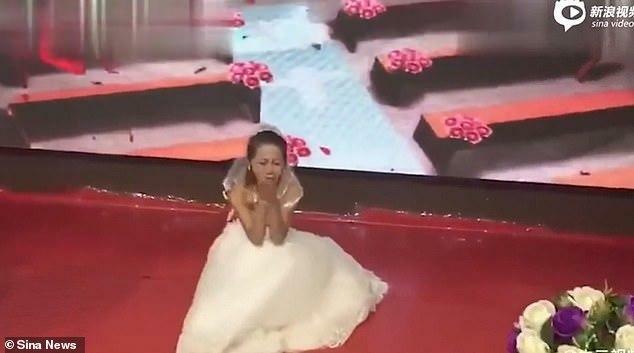 Earlier this week, a 30-second video of a woman crashing her ex-boyfriend’s wedding ceremony wearing a white bridal gown began to circulate on Chinese social media. 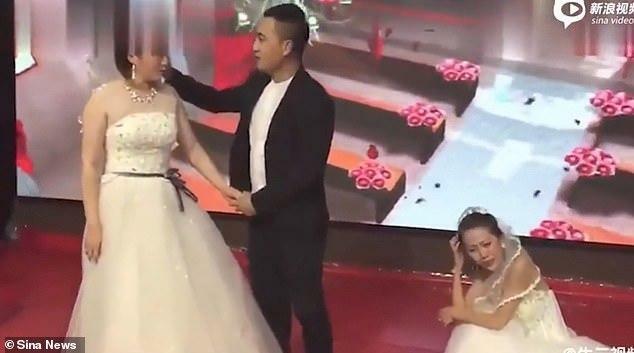 According to the Daily Mail, the woman reportedly crashed the wedding just as the bride and groom were about to kiss on stage during the reception. 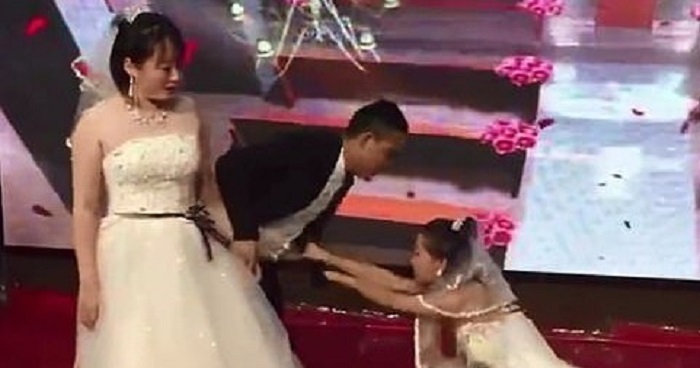 The video showed the groom appearing taken aback by his ex’s presence, as she was not invited. The woman can be seen wearing an intricately-designed gown complete with a veil. She then begged the groom to give her another chance and began yelling, “It was my fault” while pulling at his arm. The groom, meanwhile, tried to pull away and ended up walking off the stage with a visibly angry bride, leaving the woman alone on stage in tears. What do you think of this incident? Let us know in the comments below!